I've often said that feminism is liberalism applied to the lives of women. And at the heart of liberalism is autonomy theory: the belief that autonomy is the overriding good that defines us as human. 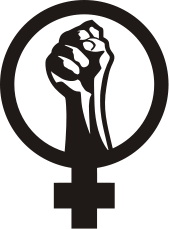 Therefore, feminism seeks to maximise the autonomy of women. Are feminists doing women a service in making the maximisation of autonomy the key, determining good in deciding such issues? Certainly not in the long run. What feminists expect is that society as a whole will act to maximise female autonomy. This includes an expectation that men will devote themselves to the cause of maximising female autonomy. But how long can that last? Eventually men will go one of two ways. Some will cotton on to the fact that autonomy is being treated as the key human good and will demand this good in equal measure for men; others will be put off by the consequences of making autonomy the key good and will return to more traditional masculine standards of upholding the larger good of society (these responses are already emerging in the men's movement). It is impossible for society to thrive in a world where every individual defines their own rules of behaviour. The notion of "harm" because completely subjective. And there is no consideration for the wider implications of one's actions.